We often think of omega-3 fatty acids in terms of treating chronic disease. However, there are a great number of reasons why the increased intake of omega-3 fatty acids can also increase athletic performance (1). That’s why the athletes I have personally worked with have won 25 Gold Medals in the past five Olympics, starting with the Stanford University swimmers who won seven Gold Medals in the 1992 Barcelona Olympics (2). For all of them, the use of high-dose omega-3 fatty acids was a key dietary factor. There are several mechanisms as to why omega-3 fatty acids exert their actions. So let me describe in detail what happens at the molecular level to improve athletic performance. Red blood cells can only transfer oxygen to the muscle tissue as they squeeze through the capillary beds that surround the muscle tissue. The diameter of the capillary is actually less than the diameter of the red blood cell, thus the greater the deformability of the red blood cell, the more rapidly it can transfer oxygen to the muscle cell. With higher intakes of oxygen, the muscle can make more ATP to fuel contractions. Blood doping and taking EPO to increase the number of red blood cells is rather crude and dangerous technology. This is because the viscosity of the blood increases giving rising to increased clotting and a general slowing of the blood flow through the capillary bed. It is like one step forward and one step back. The dangerous part comes from increased blood clotting that led to the deaths of several professional cyclists in the 1990s. Increasing the deformability of the red blood cell with increased omega-3 intake is a much more sophisticated and healthy approach for improving oxygen transfer at every level of athletic performance (3). To train intensely means creating muscle damage. This damage causes inflammation. The most extreme cause is delayed onset muscle soreness (DOMS), which can take several days (if not longer) for the inflammation to be resolved. Increasing the intake of omega-3 fatty acids will not only decrease the impact of DOMS, but also increase the resolution of any existing damage so that recovery times are significantly decreased. High-dose omega-3 fatty acids can reduce this type of exercise-induced muscle damage (4-9). Surprisingly, omega-3 fatty acids can also act as gene transcription factors to increase the levels of anti-oxidative enzymes in the blood and the muscles (10). These anti-oxidant enzymes are exceptionally powerful in quenching excess free- radical formation caused during intense exercise. You can make far greater amounts of ATP from a molecule of fatty acid than from a molecule of glucose. The only problem is having to transport the fatty acid across the muscle membrane so it can be oxidized by the mitochondria. This process is sped by the presence of fatty-acid transport proteins that are specifically designed to do exactly that. The higher intake of omega-3 fatty acids activates those genes that cause the expression of higher levels of these fatty-acid transport proteins to lead to greater ATP production (11). Even if you get the fatty acids into the cells, you still have to have the enzymes that burn them for energy. These fatty-acid oxidation enzymes are increased if the PPAR alpha gene transcription factor is activated. Omega-3 fatty acids are specific activators of this gene transcription factor (12-14). The key to athletic performance is metabolic flexibility (15). This means being able to use both fatty acids and glucose with equal efficiency to generate ATP. The omega-3 fatty acids activate the gene transcription factor that ensures that the athlete will have maximum metabolic flexibility to allow the greatest generation of ATP with the least amount of calories. This is especially important in endurance racing when the anaerobic threshold is rarely exceeded for any extended period of time (like in a sprint). Below the anaerobic threshold, the muscles can switch to fat for ATP generation thus preserving glucose for those times the athlete exceeds the anaerobic threshold. Any type of intense athletic training will cause muscle protein damage. Your recovery time is based on the time to repair the damage and synthesize new muscle protein. It has been shown that omega-3 fatty acids can increase this rate of muscle protein synthesis and thus reduce recovery times (16). One of the major factors in determining VO2 max (the maximum oxygen transfer rate) is the size of the capillary bed. Omega-3 fatty acids can also increased the vasodilation of the capillary bed to increase blood flow and thus increased oxygen transfer (17-21). Athletic performance is as much mental as physical especially the control of mood and emotions. Omega-3 fatty acids have been constantly demonstrated to improve both the psychological state as well as changing brain-wave patterns to ones associated with less agitation and greater calm (22). Omega-3 fatty acids are integral components of nerve fibers, especially at the synapse where they are found in high concentrations. Increases in the intake of omega-3 fatty acids have been demonstrated to dramatically improve reaction times, especially in complex testing environments (23,24). Long-distance migratory birds do natural “omega-3 doping” by consuming large of amounts of small crustaceans rich in omega-3 fatty acids in Canadian waters prior to embarking on 4500 km of non-stop flying over the ocean without rest or water. Their primary fuel is fat. This is only possible since they have higher levels of fatty acid transport proteins in their muscle cells, which allows for greater use of fat as a fuel source. Their high intake of omega-3 fatty acids increases the production of these fatty-acid transport proteins (25-28). This sounds great except you have to be aware of the following two caveats: (a) You have to take enough omega-3 fatty acids to make a difference, and (b) the omega-3 fatty acids that you do take had better be pure and free from rancidity. Refined fish-oil products can have significant benefits in athletic performance, ranging from improved blood flow through the capillary bed to deliver more oxygen, to reducing inflammation induced by intense training, to decreasing recovery times, and finally to improving mood. This is true only if adequate levels of omega-3 fatty acids are consumed. The elite athlete will need about 5 to 7.5 grams of EPA and DHA per day to get these performance benefits. Unfortunately at those EPA and DHA levels, one has to be very concerned about the potency, purity and stability of the fish oil. So how can you tell if you are taking enough? The answer is by checking the ratio of arachidonic acid (AA) to eicosapentaenoic acid (EPA) in the blood. This AA/EPA ratio should be between 1.5 and 3 to maximize already discussed performance benefits. This is why titrating your blood to this desired AA/EPA range of the AA/EPA ratio may be far more important than using heart-rate monitoring as a training device. This is where potency comes in. You could potentially get that level of omega-3 fatty acids by taking 2 to 3 tablespoons of cod liver oil every day. Since cod liver oil is one of the worst-tasting food products known to man (as well as one of the richest in toxins such as PCBs as discussed below), this would be a short-lived habit. Encapsulated fish oil can range from low-quality fish oil containing 300 mg of EPA and DHA per capsule to a much more highly refined fish oil (i.e. higher purity) containing 600 mg of EPA and DHA per capsule like OmegaRx®. To get a meaningful dose of fish oil to improve athletic performance, you would have to consume 16-25 capsules of low-quality fish oil or 8-12 capsules of OmegaRx®. The best choice may be liquid OmegaRx® that requires only 2-3 teaspoons per day. The good news is that liquid OmegaRx® doesn’t taste all that bad and doesn’t repeat on you like the cheaper, low-purity versions. An unfortunate fact is that all fish oils are contaminated with toxins such as mercury, PCBs, and others. This is because all fish are contaminated with the same toxins. However, when you extract the fish oil, these toxins become concentrated in the crude fish oil. To make it suitable for human consumption, you have to significantly refine the crude oil. This is why cod liver oil is the most contaminated of all fish oils. It comes directly from the cod liver where those toxins tend to concentrate and it is not refined to remove those toxins. The extent of refining determines not only the potency but also the purity. The best measure of fish oil purity is the levels of PCBs in the fish oil. PCBs are neurotoxins and carcinogens and cause acceleration of heart disease at relatively low levels. All fish in the world today contain PCBs. This is why refined fish oil is superior to eating most fish to get adequate levels of EPA and DHA. The PCB standard used in the fish oil industry is 90 parts per billion (ppb). This calculates out to be 90 ng of PCBs in a one-gram fish-oil capsule. For comparison, 90 ng is equivalent to adding one drop of water to five Olympic size swimming pools. That doesn’t seem like a lot, but in the state of California any product that provides more than 90 ng of PCB per daily serving requires a warning label to be put on that product. This means taking more than 1 or 2 capsules of the low-quality fish oil is actually potentially dangerous to your health, as it would contain more than 90 ng of PCB on a daily basis. Therefore it is impossible get a performance improvement using a low-quality fish oil because to get any performance benefits, you would have to consume levels that would exceed the upper PCB standard set by the state of California. To get the levels of EPA and DHA required for significant performance benefits, the fish oil must have PCB levels of less than 5 ppb (5 ng per gram of oil) and ideally less than 1 ppb. There are very few fish oils in the world that meet that rigid standard. OmegaRx® is the only one to consistently meet such a rigorous standard. For the consumer there are no requirements for any fish oil product to put the levels of PCBs on the label. So a good rule of thumb is to assume that every fish oil product contains 90 ppb unless the levels of PCBs in that particular lot are posted on the website of the company. Zone Labs is the only company in the industry to actually do this. Others (including drug companies that sell prescription products) do not routinely test since it is expensive, and their results would be embarrassing when compared to those of Zone Labs. Hopefully, we are beyond the old days when the phrase “trust me” was enough. Then there is the problem of rancidity. Fish oils, especially those rich in EPA and DHA, can oxidize rapidly. When they oxidize, they smell. So a lot of companies add flavors to cover the rancidity. Your nose might miss it, but your cells will not when they are exposed to the rancid oil. Rancid oils contain aldehydes (think of formaldehyde) that can damage your DNA. The standard way to determine rancidity of any edible is called TOTOX (total oxidation), which formula that calculates the combination of peroxides, aldehydes, and ketones in the oil. If the TOTOX if is above a certain level, then the oil is considered unsuitable for human consumption. Again, never trust a manufacturer unless they can tell you exactly what the TOTOX level is in the finished oil that you are purchasing. Zone Labs is again the only company that posts such information on its website for every lot produced. If this information not available to you, then it’s buyer beware. High quality fish oils like OmegaRx can be a powerful dietary tool to bring your athletic performance to a much higher level, but only if the product is potent, pure, and free of rancidity. If you are not taking the correct levels of omega-3 fatty acids, then it is unlikely that you will see the potential performance benefits just as athletes would not see in performance benefits by training a very low intensity instead of training near their anaerobic threshold. But if you do take high enough levels of OmegaRx®, then you have the same dietary tool used by those 25 Olympic Gold Medal winners who have followed my advice for years. Mickelborough. “Omega-3 polyunsaturated fatty acids in physical performance optimization.” Int J Sport Nutr Exec Metab 23: 83-96 (2013). Whitten. “Stanford’s Secret Weapon.” Swimming World. March/April (1993). Brucker et al. “Fish oil increase peripheral capillary blood cell velocity in humans.” Atherosclerosis 66: 237-245 (1987). Ernst et al. “n-3 fatty acids and acute-phase proteins.” Eur J Clin Invest 21: 77-82 (1991). Phillips et al. “A dietary supplement attenuates IL-6 and CRP after eccentric exercise in untrained males.” Med Sci Sports Exerc 35:2032-2037 (2003). Bloomer et al. “Effect of eicosapentaenoic and docosahexaenoic acid on resting and exercise-induced inflammatory and oxidative stress biomarkers.” Lipids Health Dis. 8:36 (2009). Tartibian et al. “The effects of ingestion of omega-3 fatty acids on perceived pain and external symptoms of delayed onset muscle soreness in untrained men.” Clin J Sport Med 19: 115-119 (2009). Jouris et al. “The effect of omega-3 fatty acid supplementation on the inflammatory response to eccentric strength exercise.” J Sports Sci Med 10:432-438 (2011). Lembke et al. “Influence of omega-3 index on performance and wellbeing in young adults after heavy eccentric exercise.” J Sports Sci Med 13:1510156 (2014). Poprzecki et al. 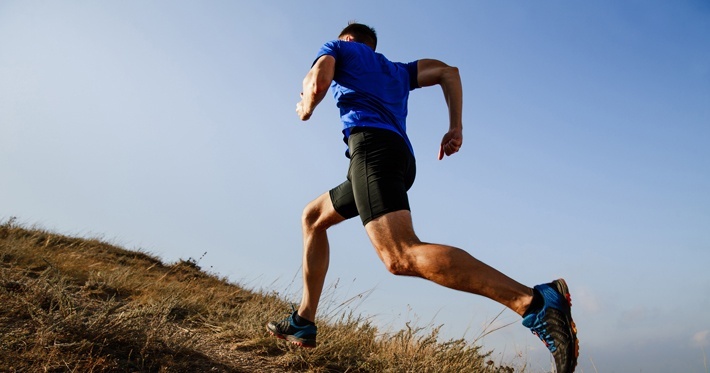 “Modification of blood antioxidant status and lipid profile in response to high-intensity endurance exercise after low doses of omega-3 polyunsaturated fatty acid supplementation in healthy volunteers. Int J Food Sci Nutr 60:67-79 (2009). Clavel et al. “Effect of endurance training and/or fish oil supplemented diet on cytoplasmic fatty acid binding protein in rat skeletal muscles and heart.” Eur J Appl Physiol 87: 193-201 (2002). Su and Jones. “Dietary fatty acid composition influences energy accretion in rats.” J Nutr 123:2109-2114 (1993). Clark and Jump. “Polyunsaturated fatty acids regulate lipogenic and peroxisomal gene expression by independent mechanisms.” Prostaglandins, Leukotrienes, and Essential Fatty Acids 57: 65-69 (1997). Hostetler et al. “Peroxisome proliferator-activated receptor alpha interacts with high affinity and is conformationally responsive to endogenous ligands.” J Biol Chem 280: 18667-18682 (2005). Weber. “Metabolic fuels: regulating fluxes to select mix.” J Exp Biol 214: 286-294 (2011). Rodacki et al. “Fish oil supplementation enhances the effects of strength training in elderly women.” Am J Clin Nutr 95: 428-436 (2012). Huffman et al. “Effect of n-3 fatty acids on free tryptophan and exercise fatigue.” Eur J Appl Physiol 92:584-591 (2004). Tartibian et al. “The effects of omega-3 supplementation on pulmonary function of young wrestlers during intensive training: J Sci Med Sport 13:281-286 (2013). Kawabata et al. “Supplementation with eicosapentaenoic acid-rich fish oil improves exercise economy and reduces perceived exertion during submaximal steady-stat exercise in normal healthy untrained men.” Biosci Biotechnology Biochem 78: 2081-2088 (2014). Lewis et al. “21 days of mammalian omega-3 fatty acid supplementation improves aspects of neuromuscular function and performance in male athletes compare to olive oil placebo.” J Int Soc Sports Nutr 12:28 (2015). Zebrowska et al. “Omega-3 fatty acids supplementation improves endothelial function and maximal oxygen uptake in endurance-trained athletes.” Eur J Sport Sci 15: 305-314 (2015). Fontani et al. “Blood profiles, body fat and mood state in healthy subjects on different diets supplemented by omega-3 polyunsaturated fatty acids.” Eur J Clin Invest 35:499-507-699 (2005). Fontani et al. “Cognitive and physiological effects of omega-3 polyunsaturated fatty acid supplementation in healthy subjects.” Eur J Clin Invest 35:691-699 (2005). Guzman et al. “DHA-rich fish oil improves complex reaction time in female elite soccer players.” J Sports Sci Med 10:301-305 (2011). Guglielmo et al. “Seasonal dynamics of flight muscle fatty acid binding proteins and catabolic enzymes in a migratory shorebird.” Amer J Physiol 282: R1405-R1413 (2002). Guglielmo et al. “Move that fatty acid: fuel selection and transport in migratory birds and bats.” Integr Comp Biol 50:336-345 (2010). Maillet and Weber. “Performance enhancing role of dietary fatty acids in a long-distance migrant shorebird.” J Exp Bio 209: 2686-2695 (2006). Maillet and Weber. “Relationship between n-3 PUFA content and energy metabolism in the flight muscles of a migrating shorebird.” J Exp Biol 210: 413-420 (2007).